Up to 500 users can connect to a cluster simultaneously. This total includes the users connecting through the Query Editor. You can't use the Query Editor with Enhanced VPC routing. To access the Query Editor, you need permission. To enable access, attach the AmazonRedshiftQueryEditor and AmazonRedshiftReadOnlyAccess policies for AWS Identity and Access Management (IAM) to the AWS IAM user that you use to access your cluster. Password: Enter the password that you specified when you launched the cluster. After you complete this step, you can determine whether you want to load sample data from Amazon S3 in Step 6: Load Sample Data from Amazon S3 or find more information about Amazon Redshift and reset your environment at Where Do I Go From Here?. 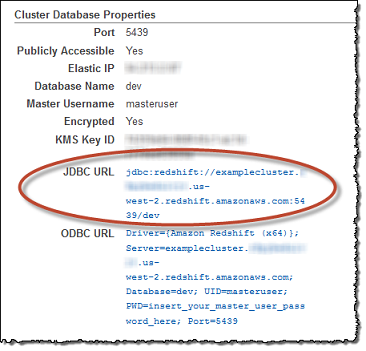 You can use most SQL client tools with Amazon Redshift JDBC or ODBC drivers to connect to an Amazon Redshift cluster. In this tutorial, you connect using SQL Workbench/J, a free, DBMS-independent, cross-platform SQL query tool. 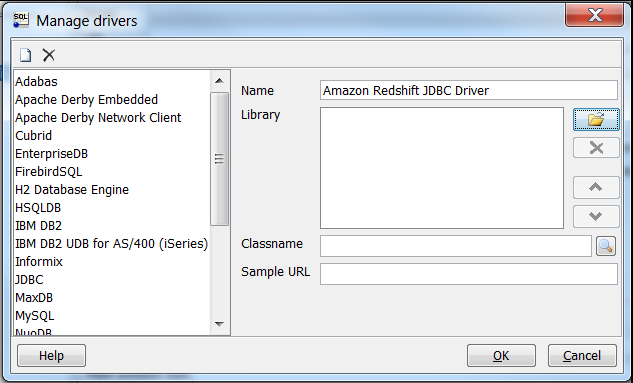 If you plan to use SQL Workbench/J to complete this tutorial, use the steps following to set up the Amazon Redshift JDBC driver and SQL Workbench/J. For more complete instructions for installing SQL Workbench/J, go to Setting Up the SQL Workbench/J Client in the Amazon Redshift Cluster Management Guide. If you use an Amazon EC2 instance as your client computer, install SQL Workbench/J and the required drivers on the instance. Install any third-party database tools that you want to use with your clusters yourself. Amazon Redshift doesn't provide or install any third-party tools or libraries. Go to the Installing and starting SQL Workbench/J page and install SQL Workbench/J. Note the Java runtime version prerequisites for SQL Workbench/J and ensure you are using that version. Otherwise, the client application doesn't run. 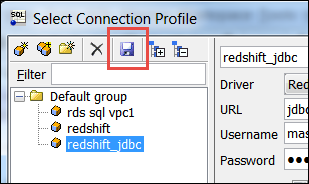 For more information about using the Amazon Redshift JDBC or ODBC drivers, see Configuring Connections in Amazon Redshift. On the Configuration tab, under Cluster Database Properties, copy the JDBC URL of the cluster. The endpoint for your cluster is not available until the cluster is created and in the available state. This step assumes you installed SQL Workbench/J in Step 1: Set Up Prerequisites. Choose File, and then choose Connect window. Choose Create a new connection profile. For New profile, enter a name for the profile. Choose Manage Drivers. The Manage Drivers dialog box opens. Choose Create a new entry. For Name, enter a name for the driver. Choose the folder icon next to the Library box, navigate to the location of the driver, choose it, and then choose Open. 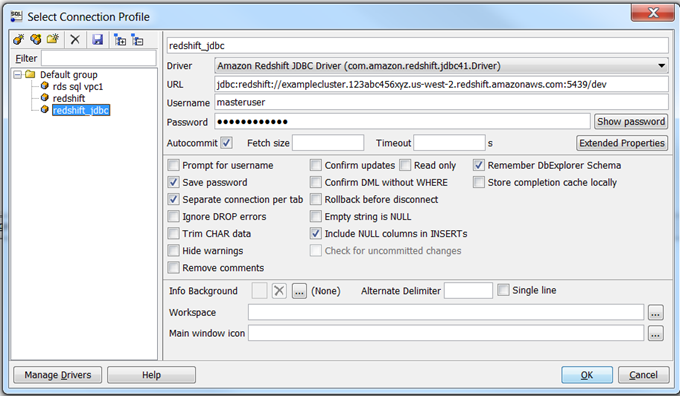 If the Please select one driver dialog box displays, choose com.amazon.redshift.jdbc4.Driver or com.amazon.redshift.jdbc41.Driver and then choose OK. SQL Workbench/J automatically completes the Classname box. Keep Sample URL blank, and choose OK.
For Driver, choose the driver that you just added. 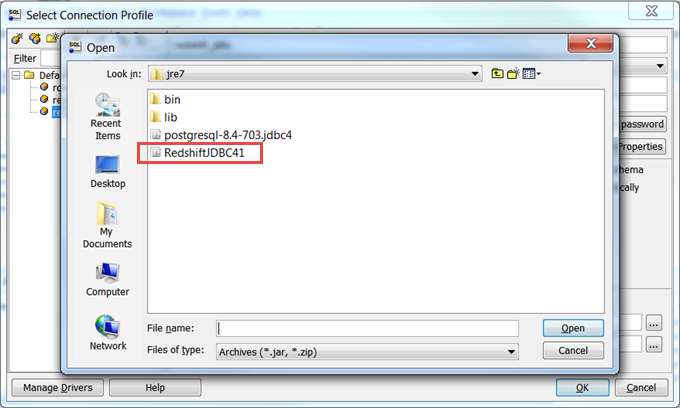 For URL, copy the JDBC URL from the Amazon Redshift console and paste it here. For Username, enter awsuser for the master user. For Password, enter the password associated with the master user account. Choose the Save profile list icon, as shown following. 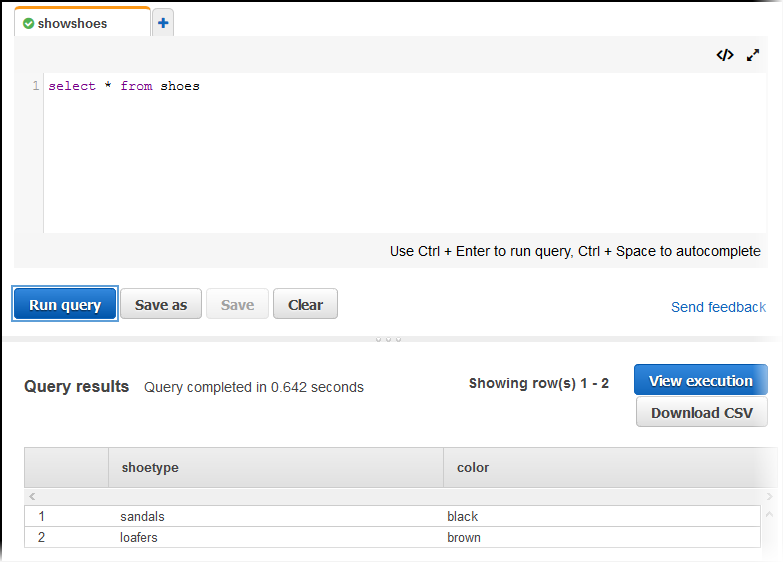 Enter the following command in the query window and choose SQL, Execute Current to add rows to the table. Run the following command to add rows to the table. Run the following command to query the new table.